Order Of St George got his season off to a successful start when outclassing his two rivals in the Vintage Crop Stakes at Navan. The 2016 Gold Cup hero was turned over 12 months ago by Torcedor when sent off the 4-5 favourite, but he made no mistake this time. Having his first race since lifting the British Champions Long Distance Cup, the six-year-old was much shorter at 2-9 on this occasion, but there were few anxious moments for his supporters in the Group Three heat over a mile and three-quarters. British raider Lord Yeats, trained by Jedd O'Keeffe, set out to make it a true test and Paul Mulrennan upped the tempo when they turned for home. However, Ryan Moore was wise to the move and eased Order Of St George towards the middle of the course to make his challenge. Leading at the furlong marker, Aidan O'Brien's charge pulled away to score by five and a half lengths, to complete a double for trainer and jockey following the success of the promising filly So Perfect in the opening maiden. O'Brien said “I'm delighted with him, and hopefully he'll go for the Saval Beg (at Leopardstown on May 25) which is what we usually do and then on to Ascot. “He finishes out very well when he gets into his tempo, and he gallops up the hill. Ryan said he was very relaxed and moved very well. They would be the two things that you would love to hear. Paddy Power left Order Of St George unchanged at 7-2 for the Gold Cup, although RaceBets cut him to 5-2 favourite from 3-1. 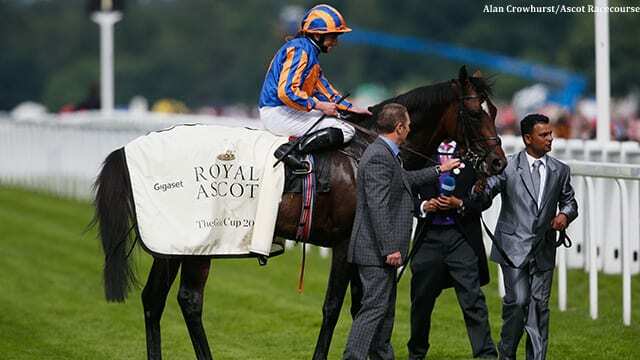 This entry was posted in Racing and tagged aidan o'brien, british champions long distance cup, gold cup, navan, order of st george, Ryan Moore, torcedor, vintage crop stakes by British Horseracing Authority. Bookmark the permalink.